What is the connection between physics and consciousness? 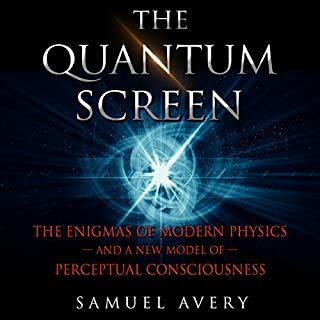 In this groundbreaking new audiobook, Samuel Avery presents the quantum screen, a paradigm-shifting model of perceptual consciousness and of the world. This model looks to the enigmas of modern physics to demonstrate the primacy of consciousness - the essential oneness of spirit and matter. In trying to understand the atom, physicists built quantum mechanics, the most successful theory in science and the basis of one-third of our economy. They found, to their embarrassment, that with their theory, physics encounters consciousness. Authors Bruce Rosenblum and Fred Kuttner explain all this in nontechnical terms with help from some fanciful stories and anecdotes about the theory's developers. They present the quantum mystery honestly, emphasizing what is and what is not speculation. Wow. Very Informative and mind boggling. Is Biocentrism Dead? It is a topic that many find a bit off-putting but it is a question that many individuals are starting to pose as they become wiser. The book explains what biocentrism is and how the tenets that surround this concept came into being. This is a book that the inquiring mind will appreciate, thus it is ideal for the individuals who want to learn more about themselves and the world around them. The author gradually disseminates the information to the listener, allowing them to fully understand what biocentrism really means. Setting aside the pervasive material bias of science and lifting the obscuring fog of religious sectarianism reveals a surprisingly clear unity of science and religion. The explanations of transcendent phenomena given by saints, sages, and near-death experiencers are fully congruent with scientific discoveries in the fields of relativity, quantum physics, medicine, M-theory, neuroscience, and quantum biology. The Physics of God describes the intersections of science and religion. Dr. Rupert Sheldrake, one of the world's most innovative scientists, here shows the ways in which science is being constricted by assumptions that have, over the years, hardened into dogmas. Such dogmas are not only limiting, but dangerous for the future of humanity. According to these principles, all of reality is material or physical; the world is a machine, made up of inanimate matter; nature is purposeless; consciousness is nothing but the physical activity of the brain; free will is an illusion; and God exists only as an idea in human minds. Mystics and sages have long maintained that there exists an interconnecting cosmic field at the roots of reality that conserves and conveys information, a field known as the Akashic record. Recent discoveries in vacuum physics show that this Akashic field is real and has its equivalent in science's zero-point field that underlies space itself. This field consists of a subtle sea of fluctuating energies from which all things arise: atoms and galaxies, stars and planets, living beings, and even consciousness. Made me hungry for more! New York Times best-selling author Deepak Chopra joins forces with leading physicist Menas Kafatos to explore some of the most important and baffling questions about our place in the world. What are time and space made of? Where does matter come from? And what exactly is reality? Theoretical physicist Carlo Rovelli has spent his whole life exploring these questions and pushing the boundaries of what we know. Here he explains how our image of the world has changed over the last few dozen centuries. Most compelling physics book in at least 10 years! What did Jesus teach? Distilled from years of study and lecture, affirmed by nearly a million listeners over the last 50 years, Emmet Fox's answer in The Sermon on the Mount is simple. The Bible is a "textbook of metaphysics" and the teachings of Jesus express - without dogma - a practical approach for the development of the soul and for the shaping of our lives into what we really wish them to be. For Fox, Jesus was "no sentimental dreamer, no mere dealer in empty platitudes, but the unflinching realist that only a great mystic can be". Every now and then, a simple yet radical idea shakes the very foundations of knowledge. The startling discovery that the world was not flat challenged and ultimately changed the way people perceived themselves and their relationships with the world. For most humans of the 15th century, the notion of Earth as ball of rock was nonsense. The whole of Western natural philosophy is undergoing a sea change again, forced upon us by the experimental findings of quantum theory. At the same time, these findings have increased our doubt and uncertainty about traditional physical explanations of the universe's genesis and structure. Biocentrism completes this shift in worldview, turning the planet upside down again with the revolutionary view that life creates the universe instead of the other way around. In this new paradigm, life is not just an accidental byproduct of the laws of physics. Biocentrism takes the listener on a seemingly improbable but ultimately inescapable journey through a foreign universe - our own - from the viewpoints of an acclaimed biologist and a leading astronomer. Switching perspective from physics to biology unlocks the cages in which Western science has unwittingly managed to confine itself. Biocentrism shatters the listener's ideas of life, time and space, and even death. At the same time, it releases us from the dull worldview that life is merely the activity of an admixture of carbon and a few other elements; it suggests the exhilarating possibility that life is fundamentally immortal. 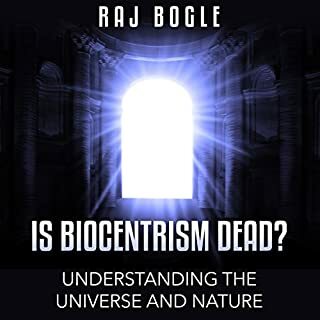 Biocentrism awakens a new sense of possibility and is full of so many shocking new perspectives that the listener will never see reality the same way again. ©2009 Robert Lanza and Bob Berman (P)2009 Audible, Inc. The book explains the paradoxes in physics more succinctly than any other I've come across. Even for the listener who hasn't heard them before, this very short book makes them understandable. The author's brief biographical sketch about his youth and his sister are very moving and well worth listening to the book alone. I don't agree with his theory that consciousness creates reality, but when he's writing those parts of the book he's writing like a poet and it flows perfectly. He writes and explains so well that if the Imp of the Perverse gets on my shoulder at a party, I'd feel perfectly comfortable bringing up the points he lays out in the book and defending them as real while knowing all along that it's just pseudoscience. It's easy to develop a pseudoscience while merging a theory of consciousness (I'd recommend "Who's in Charge" for a good book on consciousness) with the mysterious of physics (entanglement, double slit experiment, superposition, Copenhagen interruption and so on). I enjoyed the book because it was so well written (and read). This book just goes to show one can reject the main theme but still learn a lot and be entertained. This is a fascinating book which posits that if we accept the Copenhagen interpretation of quantum mechanics on face value, a new understanding of the world is possible. 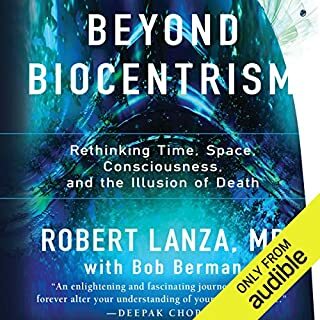 Lanza marries physics with Biology to produce a scientifically grounded world-view which he calls Biocentrism. In a nutshell, the theory states that the world doesn't exist in actuality until we observe it AND since all observation takes place inside the human brain, reality is wholly a construct of human consciousness. While this sounds somewhat audacious on the it's face, there is some extremely good science behind Lanza's amazingly understandable argument and the author presents his case in a manner which is accessible to all. Even if you don't have any previous knowledge of quantum weirdness, this book is comprehendible and, if for no other reason, this makes the book useful. If you ever wanted to understand the basic strangeness of the quantum world but felt daunted by the scope of the task, read this book and it will make sense to you. If you are initiated into such subject matter and you've started to wonder why there's been no fundamental break throughs in our understanding of the world since the first half of the 20th century, read this book. It's possible that science has been speeding down the wrong track for 75 years because scientists refused to accept what physics experiments were telling them at face value. Whether the theory of Biocentrism is actually right, wrong or somewhere in between, it's a fascinating and thought provoking read. This is an extraordinary book for those individuals with the intellectual skills required to analyze Dr. Lanza?? ?s and Dr. Berman's theories, in a logical and open minded fashion. 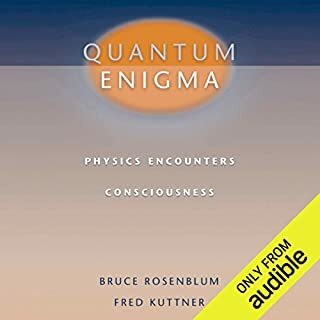 I would strongly urge you to first read the book Quantum Enigma by the physicists, Bruce Rosenblum Phd and Fred Kuttner Phd, PRIOR to reading Biocentrism, as it will give you a grounded NO-nonsense description of the ?? ?quantum strangeness??? in physics that Dr. Lanza and Dr. Berman are discribing their book. I especially want to complement Dr. Lanza for his courage in sharing the "emotionally difficult" stories from his personal life. Both Dr. Lanza and Dr. Berman are highly respected scientists which lends great credabilty to their theories expounded in Biocentrism. What did you love best about Biocentrism? He also distinguishes between non-sensical non provable radical theories that have no foundation in reality..in making physics subordinate to biology adn tangible reality which mirrors the patterns and wisdom of the unseen world. So the author uses personal stories in his narrative. It makes the delivery more tangible and human. Lanza's struggles and tragedies, not doubt, fuel his search for bridging the gaps in physics (science), spirituality and the nature of self. His work is well grounded in the scientific method (observation) and well researched. He directly attacks ideas such as "string theory" as questionable science because it relies on obtuse math. He doesn't say "string theory" is wrong, merely that modern physics uses very sloppy grounding for its assertions. The book is a fantastic "whack up the side of my head". Consciousness has no explanation in physics. That does not mean science is bunk, but merely that we have no tools to account for consciousness. His book presents the idea that biology (life itself) defines the Universe and not the other way around. Seen this way, then the human spiritual understanding of consciousness and the scientific method of observation are on a path to converge. If you have a basic understanding of quantum theory, no one completely understands it, this book presents ideas that will make you rethink your concept of what we have be taught about our world and how our conscious mind perceives it. This is definitely worth a listen/read. I think a lot of people will dismiss Biocentrism as a mad theory, which is apparently heresy coming from scientists! 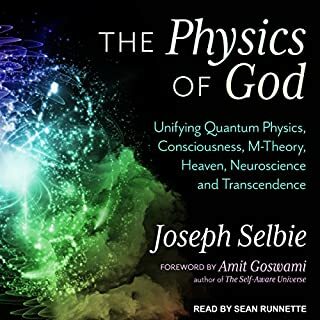 However, from a philosophical perspective there are some great ideas, fascinating and playful analysis, and profound associations and insights with physics and consciousness research here, and listening to these these is worth the investment of time. 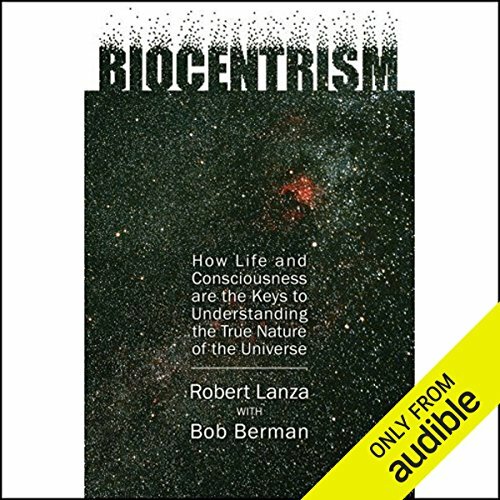 As exciting a proposition as Biocentrism is, it does not come across as 'true' in the subjective way that Robert Lanza constantly refers to when establishing various arguments and principles. It also lapses deeply into whimsy and subjectivity on occasion to be more than a creative opinion per se. There are some very basic contextual ideas and constructs completely missing, which alongside profound insights, undermines the intellectual rigour of the whole text. Unfortunately there's very little accessible criticism of Biocentrism (online) that doesn't instantly dismiss it, or make it seem cultish and simplistic. Other critiques discuss logical misteps, or addressing what seem obvious logical misteps that are present in the text. These need to be addressed. Nevertheless, I definitely recommend listening if you're inquisitive and interested in consciousness research, there's a very creative perspective here... But as Evelyn Waugh warned, beware of charm in all things. Where does Biocentrism rank among all the audiobooks you’ve listened to so far? This is actually my first book on audible but I have to say that the reading was great, very entertaining. A lot of the things he mentions have already been mentioned before in the past but I think he brought everything together. Even though a lot of people don't agree with him and his theory, I would actually like it to be true. Simply because it would mean that we're somewhat special and our lives would be more meaningful. I know that's wishful thinking but in the end, I think that consciousness is the key to understanding reality itself. What was one of the most memorable moments of Biocentrism? What I liked about this book is the fact that it mentions the limitations on language and logic that are not usually described in other books or movies. The experience was comparable to being in a movie theatre, I really enjoyed the reading, it was very entertaining. 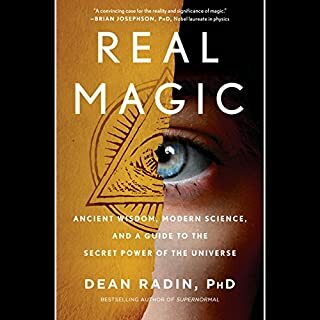 I would recommend this book because it can bring some new ideas that you have missed from other books and science shows but I would also advice that his claim is not to be taken literally. Amazingly this book talks about the same teachings I am receiving from my meditation teacher who follows the precepts of many of the Eastern philosophies (Hindi, Buddhism etc) as well as aspects of the teachings of Christ as my teacher has read them from the original languages and different and more up to date interpretations of thoes languages from the generally accepted ones used popularly today. At one point in this book the author starts talking about his awful childhood. It comes out of nowhere and seems to have nothing to do with the thesis of the book. After a relatively long biographical tangent, he returns to an in-depth explanation of the basis of quantum theory which can be found in dozens of books on the subject. That's when I stopped listening. Judging from the other reviews I doubt I'm missing some great revelation later in the book or anything to support the claims made in the book that, based on quantum theory, all reality is in our minds. That's also the basis of some pretty good sci-fi stories but there's no more empirical evidence for the claims in this book than there is that The Matrix exists. Don't waste your time.